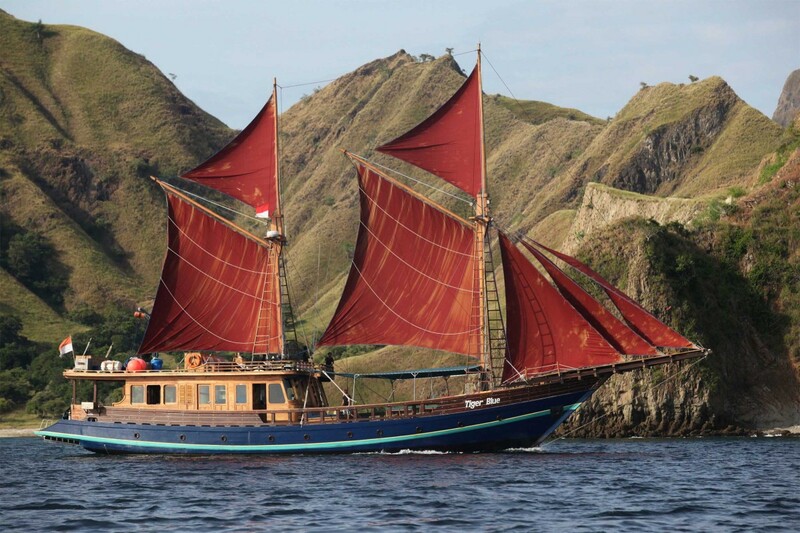 Tiger Blue is a traditional 112 foot timber phinsi yacht which sails around the beautiful islands of Eastern Indonesia. 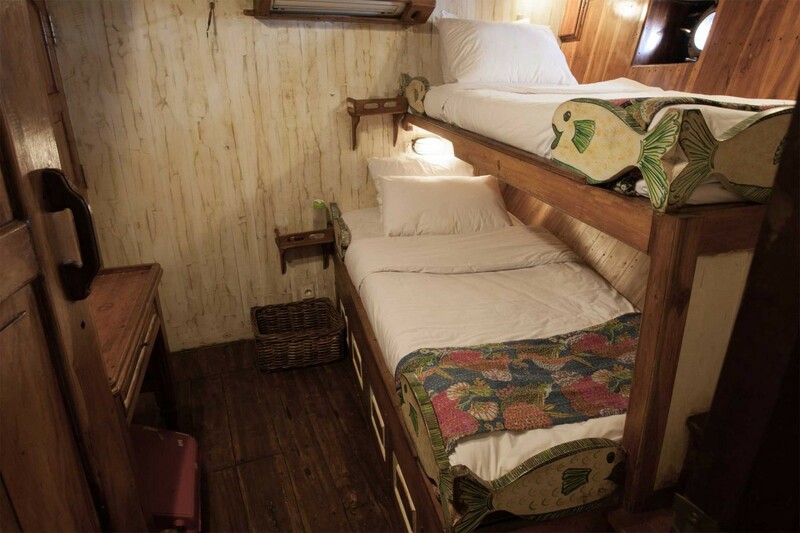 The boat has 12 ensuite cabins sleeping up to 12 adults, with a main deck cabin with king size bed, and on the lower deck two cabins with king size beds, a twin cabin with two single bunk beds, and a family cabin which can sleep up to four with a king size bed and two full size single beds. 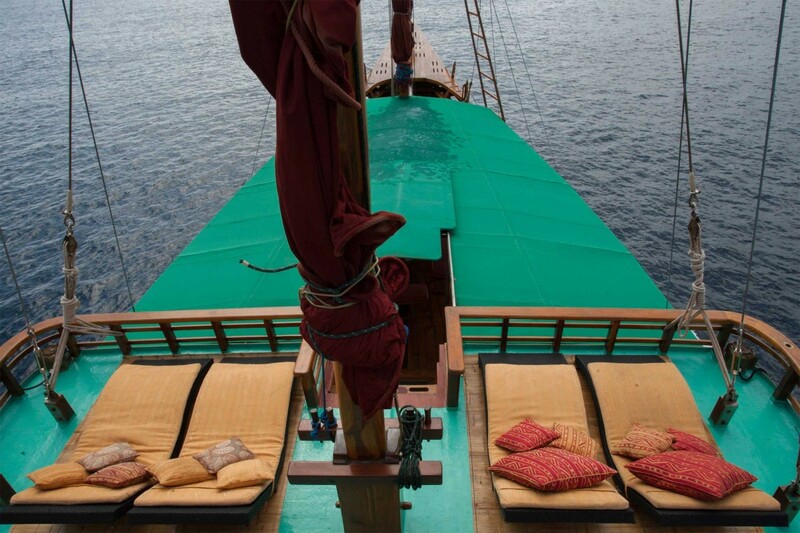 The boat can be chartered privately or on an individual basis with three core itineraries throughout the year – the Raja Ampat archipelago from November to March, Komodo National Park from May to September, and the Banda Islands from September to October and March to April. The boat is fully equipped for waterskiing, wakeboarding and diving, with a qualified dive master and up to four dives per day included. 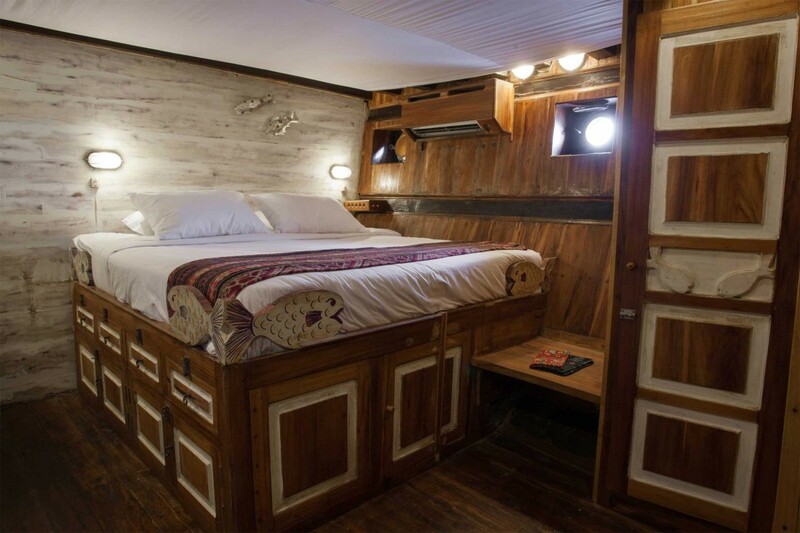 There are also two sea kayaks on board, and a dedicated snorkelling guide. The daily activities are flexible and varied depending on the location. Perhaps go diving or snorkelling after breakfast, or head out on the tender to explore small islands or search for wildlife. Then after lunch back on board enjoy an afternoon of watersports, fish, dive, snorkel, hike or just kick back and relax on board. 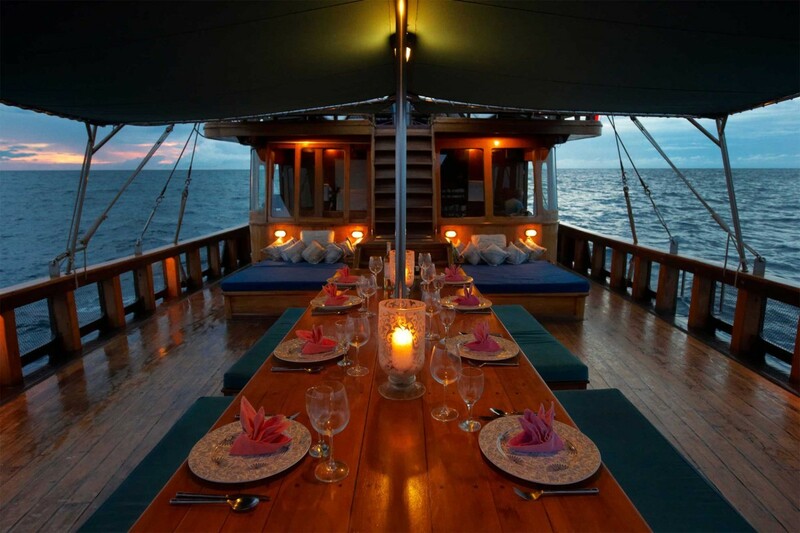 End the day with sunset cocktails, a bonfire on the beach, stargazing under a clear night sky, or perhaps even a night dive! 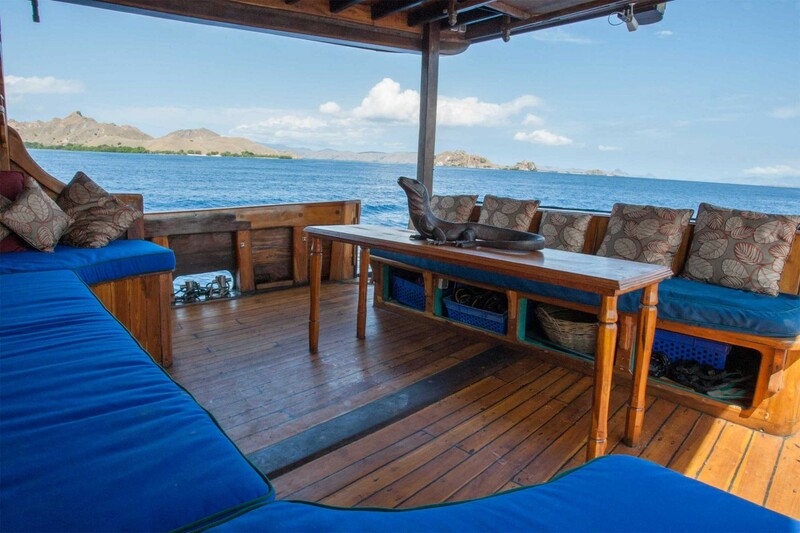 Top deck with 4 sun loungers, and main deck with dining table, spacious deck beds, large chill out area at the rear, and diving platform. Misool exceeded all expectations – location, diving, resort, staff, food all wonderful and staff so friendly and efficient. The marine life was spectacular! 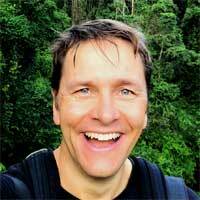 So again another great trip from Reef and Rainforest and well worth the very long travel!